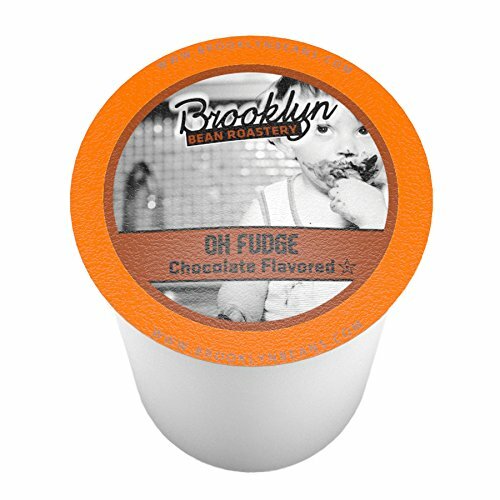 Fresh, creamy taste and dark cocoa flavors combine to create a deep, delicious chocolaty fudge flavored coffee. Wow! 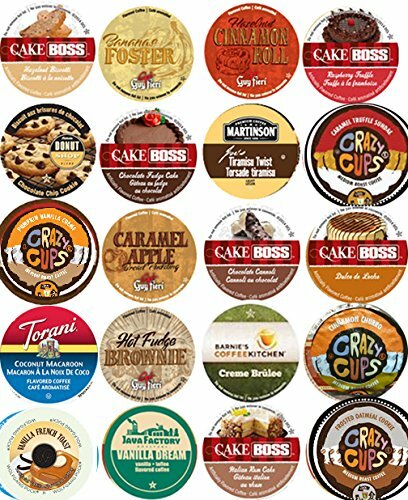 Inspired by TLC’s hit series Cake Boss, this irresistible coffee collection offers everything from the classic medium roast Buddy’s Blend to signature flavors like Hazelnut Biscotti. Whatever your taste, the Boss has you covered! 20 Cup NEW! 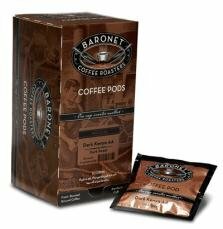 Delicious DESSERT Inspired Flavored Coffee Sampler! Chocolate Fudge Cake, Peanut Butter Banana Cream Pie, Cinnamon Roll ++ YUMMY! 20 UNIQUE Flavors! You will receive the following Dessert inspired coffee flavors - 1-Cake Boss Chocolate Cannoli, 1- Cake Boss Chocolate Fudge Cake, 1-Guy Fieri Hazelnut Cinnamon Roll, 1- Torani coconut macaroon, 1-Guy Fieri Bananas Foster, 1- , 1- Guy Fieri Hot Fudge Brownie, 1- Guy Fieri Caramel Apple Bread Pudding, 1- Cake Boss Raspberry Truffle, 1- Cake Boss Hazelnut Biscotti, 1- Cake Boss Italian Rum Cake, 1- Barnies Creme Brulee, 1-Martinson Joes Tiramisu Twist, 1- Vanilla Dream, 1- Crazy Cups Froasted Oatmeal cookie, Pumpkin Vanilla cream, Caramel truffle sundae, 1- Barnies Southern Pecan, 1- Cake Boss Dulce De Leche, 1-Cinnamon Churro, and 1-WP Vanilla French toast! DELICIOUS! Coffee Single serve cups are not sweetened, you must add your own blend of sweeteners and cream to make your dream cup! This is a handpicked sampler, this will be shipped loose in a shipping box, NOT in manufacturers original packaging. NOT for use in the new Keurig® 2.0 brewers, will work in all previous generation Keurig or similar brewers. Experience the rich, creamy taste of Monin Gourmet Dark Chocolate Sauce. Created especially fore café professionals, Monin Gourmet Sauces are made with the finest ingredients and natural flavors for the perfect specialty beverage every time. NUTRITIONAL FACTS Serving size: 1 fl. oz (30ml) Amount per serving Calories 100 Calories from Fat 10 % Daily Value* Total Fat 1g 2% Saturated Fat 0.5g 3% Trans Fat 0g 0% Cholesterol 0mg 0% Sodium 15mg 1% Total Carbohydrates 22g 7% Dietary Fiber 1g 4% Sugars 21g Protein 1g Vitamin A 0% Vitamin C 0% Calcium 2% Iron 20% *Percent Daily Values (DV) are based on a 2,000 calorie diet. 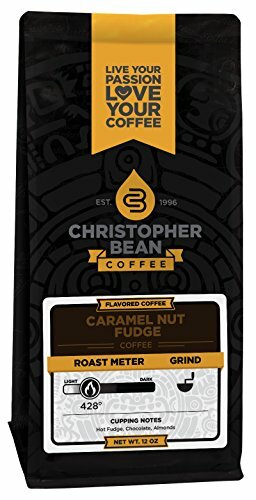 Visions of gooey caramel, roasted nuts and rich chocolate chunk fudge will come to mind as you enjoy this sinfully-delicious coffee. Available in regular or decaf. Always fresh roasted never pulled from stock. Brooklyn Beans Oh Fudge! 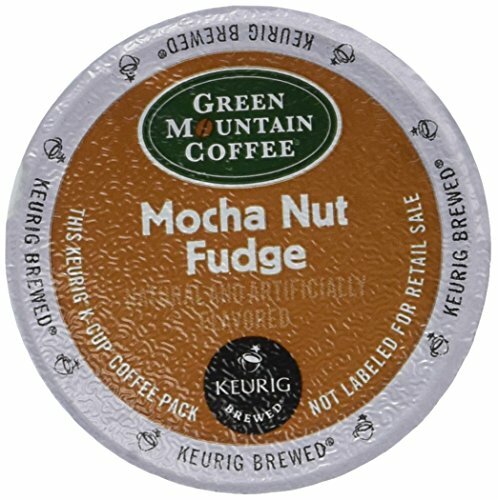 Single Cup 24ct has creamy fudge undertones without the calories. 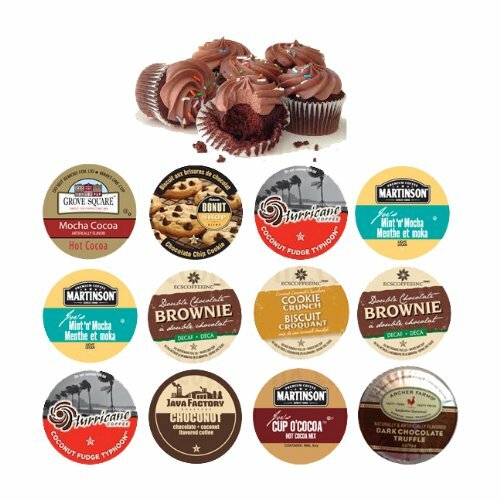 You will receive at least 8 different varieties of single serve cups in your 18 count sampler, you may receive some duplicates.Some examples of which Single serve cups you may receive are - Archer farms Dark chocolate Trufffle.... Hurricane Coconut Fudge.... Authentic Donut shop chocolate chip cookie.... ECS Coffee Coconut Caramel Chocolate Cookie Crunch regular or decaf ....ECS Double Chocolate Brownie DECAF....fudge..... Martinson Mint n Mocha..... Martinson Cup O cocoa ....Grove Square Mocha Cocoa (coffee & Cocoa).... Java Factory Choconut plus more++ Coffee Single serve cups are not sweetened, you must add your own blend of sweeteners and cream to make your dream cup! 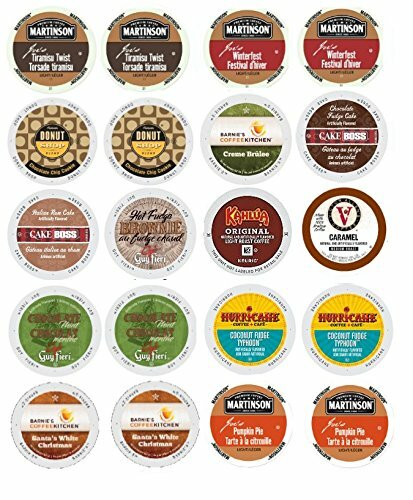 Single Serve cups are for use in single serve cup Brewers. NOT in original manufacturers packaging. Substitutions possible due to inventory, if substitutions are made, they will be chocolate inspired. 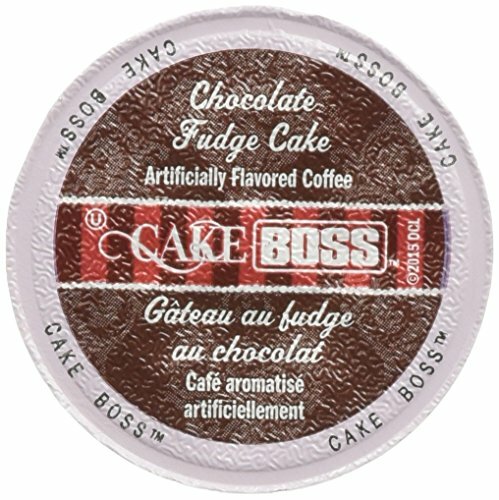 Compare prices on Chocolate Fudge Coffee at ShopPlanetUp.com – use promo codes and coupons for best offers and deals. We work hard to get you amazing deals and collect all available offers online and represent it in one place for the customers. Now our visitors can leverage benefits of big brands and heavy discounts available for that day and for famous brands.